The National Constitution Center in Philadelphia will host the world debut of America I AM: The African American Imprint, a new exhibition celebrating nearly 500 years of African American contributions to our country. The touring exhibition will open at the Center on Dr. Martin Luther King, Jr.'s birth date on January 15, 2009, and run through May 3, 2009, before continuing its 10-city, four-year tour. Covering more than 13,000 square feet at the Center, the exhibition will present a historical continuum of pivotal moments in courage, conviction, and creativity that solidifies the undeniable imprint of African Americans across the nation and around the world. The more than 200 artifacts and information within the exhibition will provide context to how African Americans have contributed to and shaped American culture across four core areas: economic, socio-political, cultural, and spiritual, up to present-day events, including the inauguration of the first African American president. 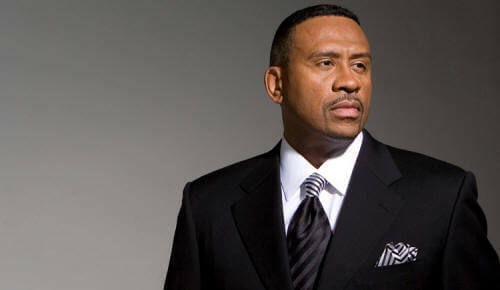 900 AM WURD Radio in Philadelphia will provide live coverage of the event on-line. 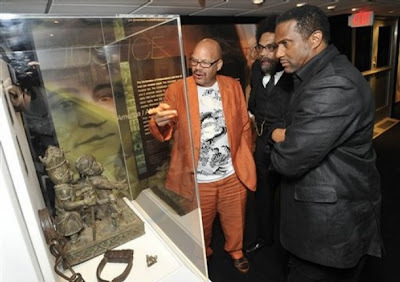 Tom Joyner, radio talk show host, Dr. Cornel West, professor of African American studies at Princeton and Tavis Smiley, radio and television show host, get a preview of the artifacts in mobile exhibit leading up to "America I AM: The African American Imprint" museum exhibit.